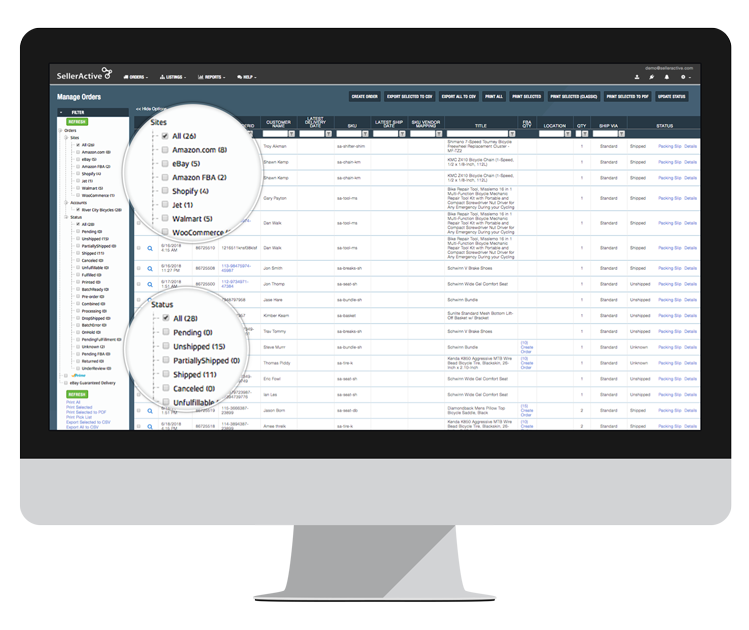 With SellerActive, growing your business and gaining product visibility has never been easier. 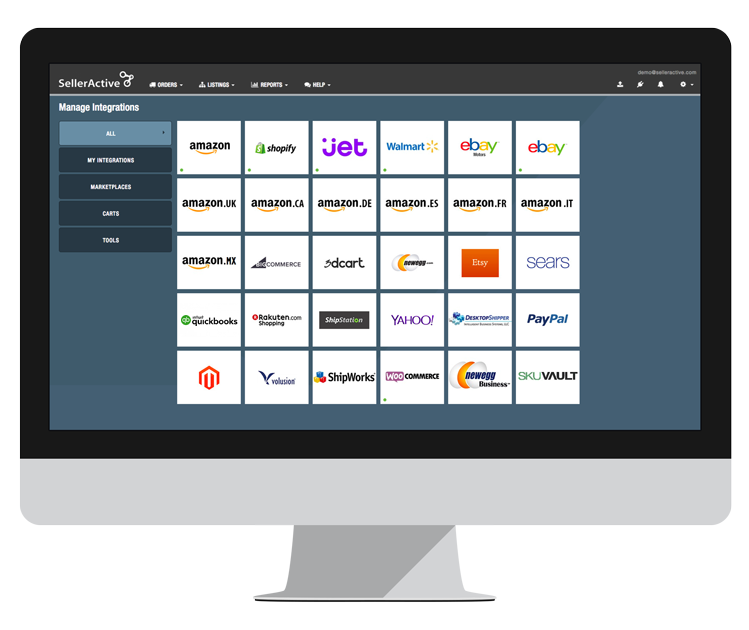 Use our multichannel listing management software to expand to new marketplaces, find new audiences, and increase sales margins. Expand your business without fear of overselling. Manage all your marketplaces and 3dcart stores from SellerActive's web-based dashboard, and set quantity thresholds to help you avoid stockouts and overselling. Change a price in SellerActive, and your 3dcart store price will be updated automatically. automatically update your 3dcart store. Create unique pricing strategies with SellerActive’s powerful algorithmic repricing technology, or map 3dcart listings to match your prices on Amazon. The ability to allocate quantities across multiple stores is extremely useful and helps prevent overselling."